August, 2018 | Ken Neyer Plumbing, Inc.
Should You Replace Your Bathroom Plumbing Fixtures? 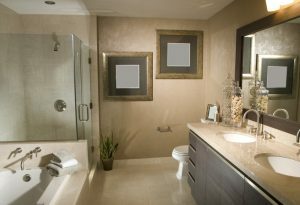 When a bathroom feels tired and old, a homeowner often considers doing a remodel. But a full remodel isn’t always the answer, and you may be in a situation where you’re fine with how your bathroom looks—you just want it to ­be more convenient, work better, or help save water. The question you have is whether you should arrange to replace the fixtures in your bathroom. We handle residential plumbing in Hamilton, OH and throughout the Greater Cincinnati and Tri-State area and have for more than 45 years. We know a little bit about upgrading bathroom plumbing! We can help you make the choice about those bathroom fixture replacements, and the best way to start is to work with our plumbers in person. We can offer you some advice in this blog post, however, to get you started thinking about your choices and what fixtures most need upgrades. Posted in Plumbing | Comments Off on Should You Replace Your Bathroom Plumbing Fixtures?